Everything “Xposed” !!! | Droid it is. Everything “Xposed” !!! – Droid it is. Xposed is a hell big thing to be covered in even 10 posts!! I would be doing it in a series fashion and will be talking about individual, modules in the continued series posts. 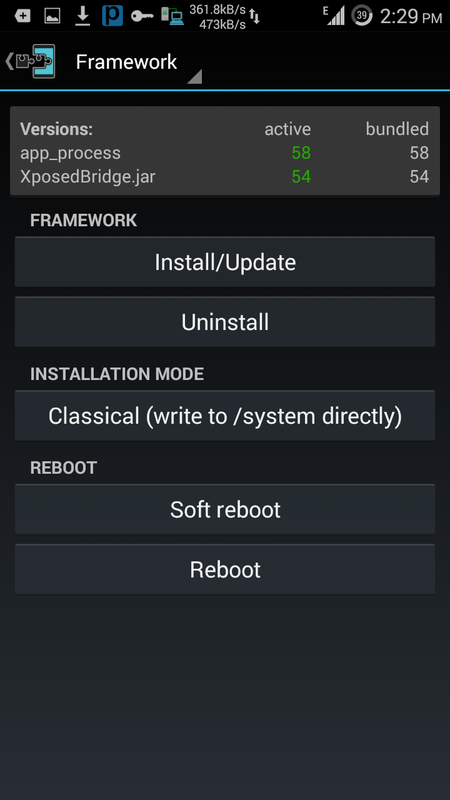 Xposed framework is undoubtedly the best android project ever! I have been in contact with android for almost three years now and have never ever seen a project developed at this pace. The amount of participation it gets and the impact it has had on the community as whole! Xposed Framework has totally changed we use our phone daily. It is blessing for noobs and a big time saver for developers like me. Before xposed, If I would have had wanted to change the color of my navigation bar or change the battery icon on the status bar, it would take almost 10 minutes compared to a few seconds with xposed framework. 10 minutes may not seem too lot of time but when you have to do it for almost 20 times to get just that perfect look for one thing and again repeat the whole process for something other is just too boring. So nothing that can be done with xposed cannot be done without it. All you have to do is decompile a few apk’s, make change to the java files and compile it back, Load it into the device, set the correct permission and you are done. Don’t like the change? Do it all again to get back. Compare that with xposed and you are done in seconds. Modules are apps which are installed separately. These are what do the real magic. Again they are useless without xposed framework as these apps depend on changes made by xposed. 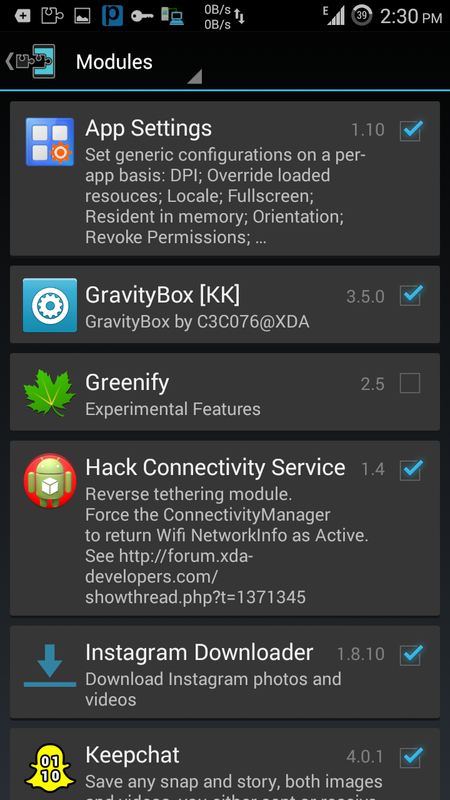 So Xposed installs the base on which other module/apps work. Just to give you s small heads up of what is comming, here is a list of what just one of the module (XBlast) can do. (And remember there are 100 other just like it)..
THAT WAS WHAT JUST ONE MODULE CAN DO. There are many many more…. Just a small description about the app interface.. The first screen of xposed. Simple one with all the option that the app can offer. Yeah thats right, this is all that this app has to offer! This is what comes under “Framework” . A simple option to install or uninstall the framework files to the system. Please note that this does not install any app but just some related files in the system partion are replaced with thosed from xposed, so that other modules can use em. This is the modules page. It lists all the modules that has been installed and gives you an option to enable or disable em. Finally a screen of the module downloads.. 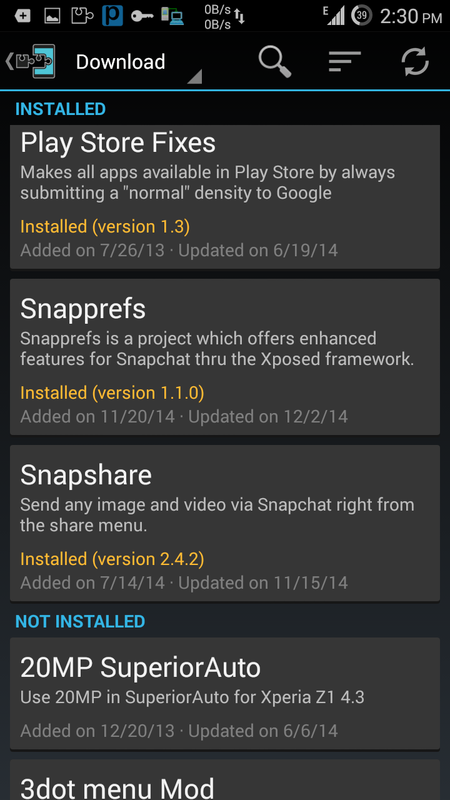 Previous PostCustom Rom and Android update, Explained…Next PostSnapchat–Use it the way you like….